WigSalon.com offers outlet prices on Raquel Welch Celebrity Signature Collection of Wigs, Hair Additions and Human Hair Clip-In Extensions, the same fashion styles as top fashion models & Hollywood Stars. WigSalon also offers our world-famous discount prices on wigs by Eva Gabor and pieces by Hair-U-Wear, both sister companies to Raquel Welch. Raquel Welch wigs are famous for their outstanding and natural blended colors and easy-to-wear wig caps that are so perfect for everyday wig wearing. She also now has the largest collection of medical quality monofilament wigs found anywhere. Who can forget about the girl who brought Umbrella to the music industry? Yes, that's Rihanna! She amazes us with her music but we all know that Rihanna loves fashion and she's an icon indeed! Rihanna is the coolest in short hair, and so WigSalon is offering you the chance to get the look of Rihanna! 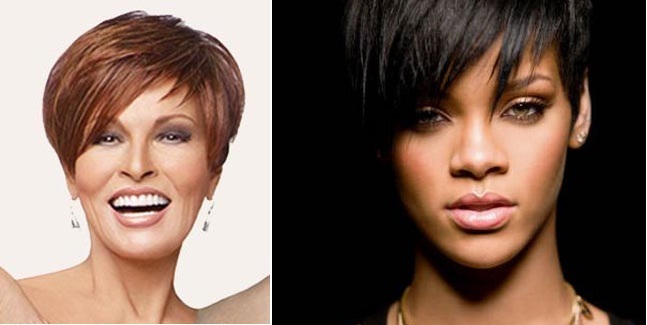 Short wigs rule in the world of hair fashion. They are casual, beautiful and professional. When a short style works for you, it is understated elegance. Short wigs are also easier to care for for the serious wig wearer. 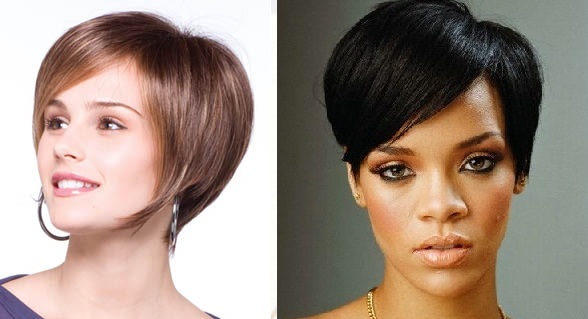 It's no wonder we sell more short style wigs than any other. TRES CHIC Added length at the top & sides and expertly tapered layers blend to a sleek neck-line, turning this new boy cut into something understated yet sassy. The Raquel Welch Memory Cap is cool, lightweight and actually molds to the shape of your head for a custom fit. SHASTA A tapered geometric bob with LONG BANGS. From Rene of Paris, makers of Noriko wigs. Aero light cap, open construction and a velvet-soft edge for added comfort. Depression Buster Pricing, so for 2009 we have added many colors. SEE MORE VIEWS. Place in basket to view low WigSalon price. 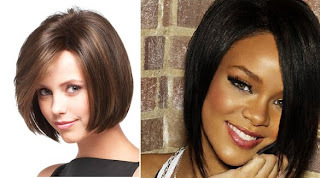 GILLIAN An asymmetrical bob with blunt ends and a sleek fashion look. By Rene of Paris. High-fashion and a bit daring in it's simplicity.. Just be sure you are ready for the reaction to this stunning yet simple look. SEE MORE VIEWS Place in basket to view new Depression Busting Price ... Now available in more colors. TORI Sharp and only slightly asymmetrical, this angled bob from Rene of Paris has blunt bangs and that new vibe you've been looking for in a reasonably priced wig style. 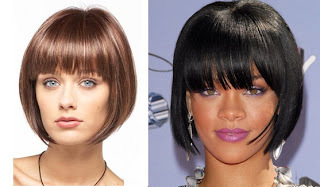 CLICK HERE FOR MORE SHORT WIGS!